One of the most eagerly awaited sedan in the Indian car market is certainly the Honda Amaze Diesel. This will be the first diesel engine based vehicle to be launched into the lucrative Indian car market front the esteemed stables of Honda India. The company has worked very hard to make it stunning and have equipped it with some top of the line aspects, which will certainly astound the customers. Honda Cars in the country have always been dependable and steadfast. The company was only lagging behind in the diesel engine segment, which they are finally getting into with a bang. The Honda Amaze Price is expected to be in the range of Rs. 5.5 lakh to Rs. 6 lakh for the starting trim. This will certainly be a very competitive price and there are chances that the other competitors in its segment might already be getting sleepless nights. The company has also integrated quite a few best in class and utility based aspects in this yet to be launched diesel sedan. The list of these Honda Amaze Features include a proficient manual air conditioning unit with heater that cools the entire cabin very quickly, outside rear view mirrors integrated with side turn indicator, a center arm rest for the rear seat passengers with cup holders that further adds to the comfort level of the occupants, premium fabric upholstery covered comfortable seats that ensure ample leg room along with apt shoulder and head space as well. The Honda Amaze Pictures on the interweb reveal that this diesel sedan has stylish and aerodynamic exteriors. The frontage is elegant with a neatly carved out radiator grille along with a body colored bumper with some chrome treatment. The sides have been done up very will with body colored external rear view mirrors and door handles. The wheel arches are expected to get a modish set of 14 inch alloy wheels, which will further add to the elegance of this diesel sedan as well. A few other features include a highly developed anti lock braking system along with an electronic brake force distribution mechanism, dual front airbags for enhanced protection of the front passengers, a 400 litre luggage compartment, which can store a lot of things in it, seats with integrated head rests for added comfort. The company has equipped this Honda Amaze diesel sedan with a 1.5-litre i-DTEC engine, which has the capacity to generate about 85-90bhp of output. There are also reports that the company claims that this impressive diesel sedan will be able to generate a healthy fuel economy of 23 Kmpl, when driven under standard conditions. 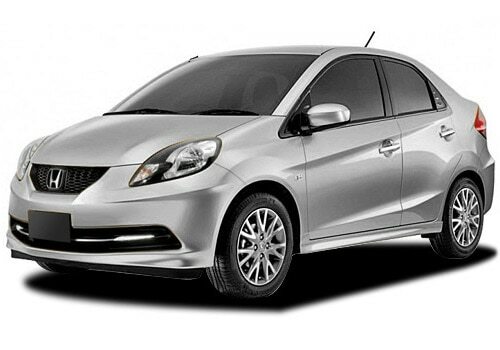 Honda Amaze diesel to come with an aggressive price tag. The mileage is one of the most important aspects as the prices of diesel are also on a gradual hike every now and then, which is becoming a matter of concern.